More Davidson County yearbooks from the Northwestern Regional Library System are now available on DigitalNC.org. Joining over 50 other area yearbooks, these additions primarily represent Thomasville’s Fair Grove High School, which merged with another school and became East Davidson High School in 1962. 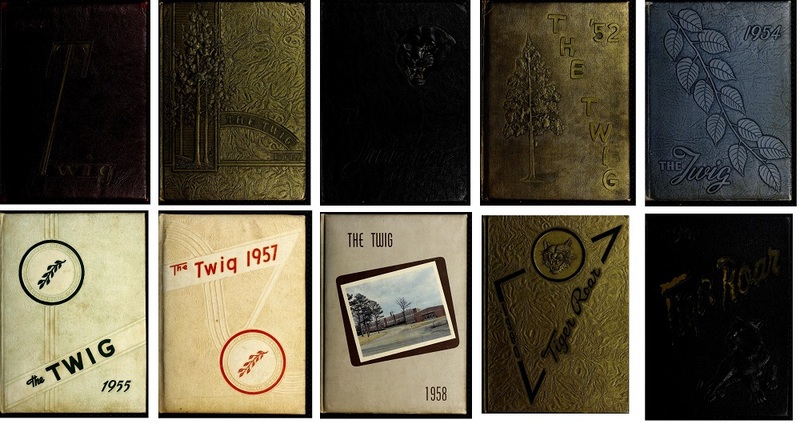 The yearbook titles include The Twig and Tiger Roar, and range from 1948 – 1961. These volumes come from the Thomasville Public Library. 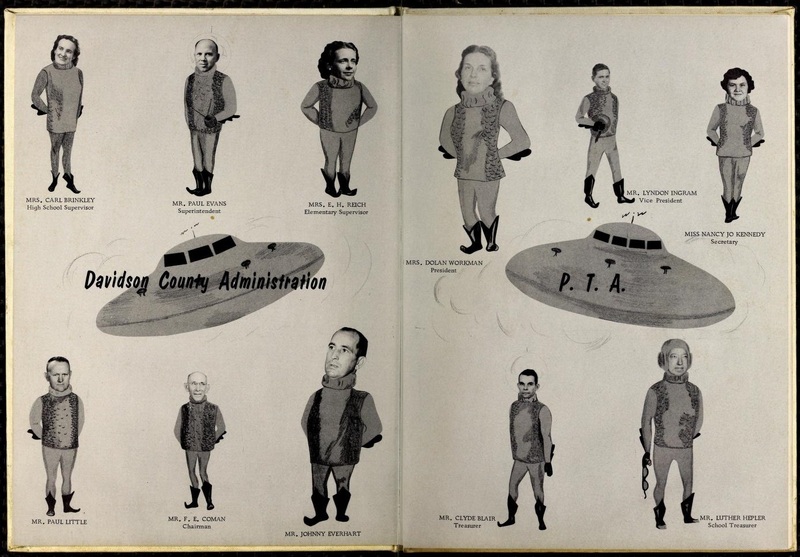 Many of the Fair Grove High School yearbooks feature hand drawings for their title pages. This is the case for the 1959 issue of The Twig, which also has an “Outer Space” theme and features staff as astronauts and class officers in spaceships. Along with the Fair Grove High School yearbooks, we have also digitized the 1954 issue of The Lexicon from Lexington Senior High School, which was contributed by the Lexington Library.